The Github integration allows you to easily enter dones through commit messages you pushed that day as they appear as a prompt for when you actively write about what you got done in your reply. Use the prompt to summarize or copy and paste and comment on whatever you feel are the most important commit messages to record. 1. 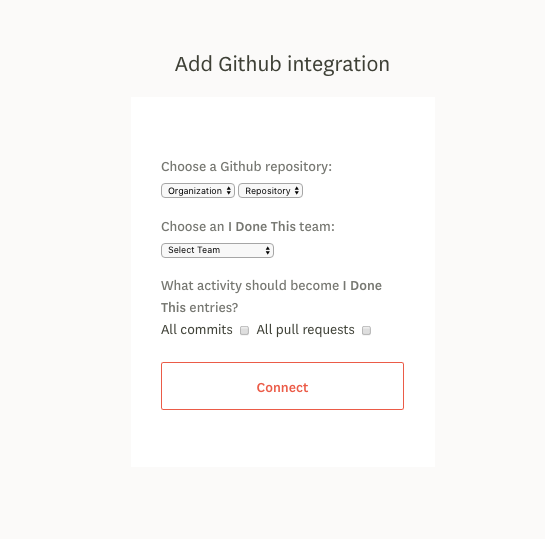 Simply log into your IDoneThis account and ensure that you're logged into Github as well. You can log into your IDoneThis account here. 2. Navigate to the bottom left of the screen and select Integrations. 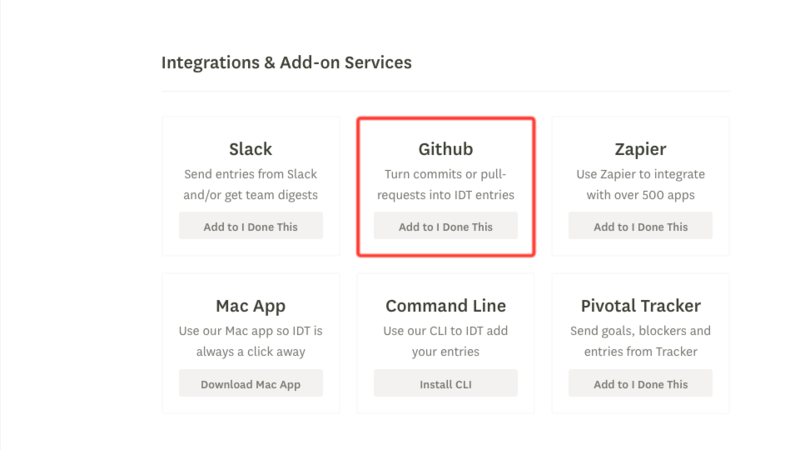 On that page, select the button under Github integration, "Add to IDoneThis"
3. Authorize and provide IDoneThis permission to post within the Github commit. 4. From there, just choose the Repo that you're contributing to. The repo choices can be for both private and public repos. Also make sure to choose what team you want to post your updates from. Lastly, select whether or not you want either all commits, all pull requests or both! Be sure to hit the "Connect" button after you've finished configuring your settings. Note**: If you have any issues setting up your Slack integration, please contact help@idonethis.com.